One driver was killed in a single-vehicle crash on the I-45 feeder road late Saturday. 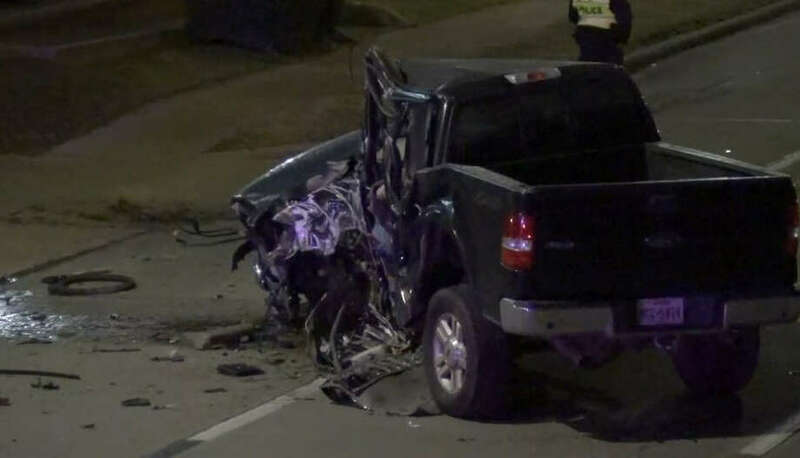 A man was killed late Saturday after his pickup crashed into an exit ramp on Interstate 45 in southeast Houston. It’s not clear why the man lost control just before midnight in the 14100 block of Gulf Freeway service road, but he was headed south when he plowed into part of the HOV exit ramp and spun back out in the feeder lanes. The wreck, near the Astoria and Dixie Farm exit, left the truck mangled and car parts scattered across the roadway. Authorities did not immediately identify the man or indicate whether there’s any possibility alcohol was involved.